The options for childcare these days are endless - preschool, long day care, family day care to name just a few. Let me begin by giving you a bit of an insight of my experience with both long day care and preschool. I was lucky enough to have two years maternity leave with my first born. Then, prior to falling pregnant with my 2nd, I went back to work part-time. At the time, the most logical option for us was to send our daughter to long day care on the days I worked. This arrangement worked well, particularly because I was fortunate enough to work from home and the day care we chose was within a short walking distance. However, since having my 2nd daughter, in order for me to afford to spend 2 years at home with her, we have had to review our childcare options. The main reason for this is if I did not go back to work when DD2 is 12 months, we would loose our Child Care Benefit (CCB) and Child Care Rebate (CCB). This would equate to an extra $450 per month to continue sending my eldest daughter 2 days per week. Below is a summary of my experience and observations of the preschool vs. long day care environment. Most long day care centres are run by private companies, some not for profit and some profit based. Cater for children in a wide age range from 6 weeks-6 years of age. Long day care caters for a wider range of ages from 6 weeks - 6 years. 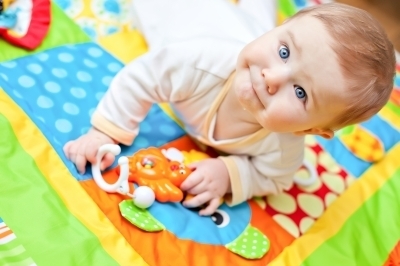 Image source: www.freedigitalphotos.net "Infant Boy On Playmat" by Serge Bertasius. Different rooms based on age. Nursery 6 weeks-2 years, Cheeky Monkeys 2-3years, Busy Bees Preschool age. Longer operating hours. Our centre operates from 7am-6pm - this is obviously a must a more practical option for working parents. Children are given the opportunity to sleep or have a rest for about 2 hours in the afternoon. From my observation, this is offered in all rooms, including the preschool room. Educators and Directors are on a rotating roster. At our long day care teachers and Director would work rotating shifts from 7-3, 8-4, 9-5 and 10-6. This often made it difficult as if your child was difficult to settle in the morning, the teacher helping her would have finished her shift by the time I arrived to pick her up. In my opinion, it also made communicating with the Director difficult. As most of the parents using long day care are working parents - I found there was not much interaction and they tended to pick there kids up and leave. This didn't leave much time to ask how the children's day was or to interact with other parents. The preschool I have chosen is run by our local council. It caters for children aged 3 years-6 years. I found that restricting the ages to older children, they could focus on more age appropriate activities and they don't need to worry about younger children getting their hands on small pieces of equipment. There is a maximum of 25 children per day therefore only 1 group with a variety of spaces to play and learn including 2 indoor classrooms and a large outdoor area which comprises of a bike track, sand pit, home corner, mud kitchen, vegetable garden, painting stations etc. Both options offer your child a range of age appropriate activities. 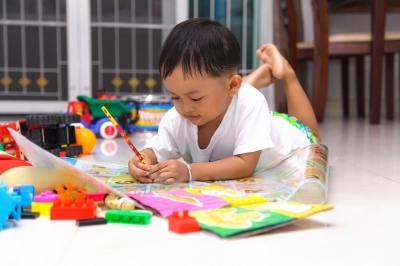 Image source: www.freedigitalphotos.net Happy Little Boy Drawing And Reading Stock Photo By Naypong. The rates at my local preschool are $40 per day, but the council subsidise this to encourage children to attend for school readiness - so we actually pay $29 per day. We are required to pack 'munch and crunch' (morning tea which is fresh fruit only) and lunch for our children. This is all a part of getting them (and us as parents) ready for school. The hours of our preschool are restricted to 9am-3pm. You can drop off and pick up anytime between these hours. Again, this is a major part of getting the children (and parents) ready for school hours. This is one of the main reasons, a preschool of this type is unsuitable for working parents. Children are not given the opportunity to sleep. In my opinion, this is another great feature - as my daughter has not had a day sleep since she was 2. It also means that they are on the go the whole time and there are no 'time wasting' activities. The Educators and Director are all there from 9am-3pm - so they are with your child the whole day. I find this a better arrangement as you know who is with your child and you can find out what happened throughout the whole day. Generally, I find that the parents are more friendly and less rushed at the preschool. This may be because they do not work full-time or possibly work part-time during the day. This means that parents have an opportunity to socialise and get to know other parents in the community. Our local preschool places a huge emphasis on learning through play. In this environment, I have seen my daughter blossom and begin using her imagination more at home too. This information is based on my experience and observation. I recognise that parents choose different child care arrangements to fit their own circumstances. When I made the change, I was not sure what to expect, but my daughter loves going, she is challenged every day and she always has a huge smile on her face - so for us, changing to a 'preschool' was the best decision for our daughter and our situation. 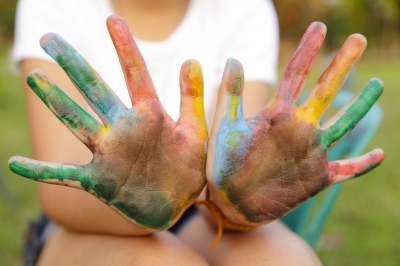 What is your experience with child care? Do you send your child to preschool for school readiness? Does pubic hair go grey?